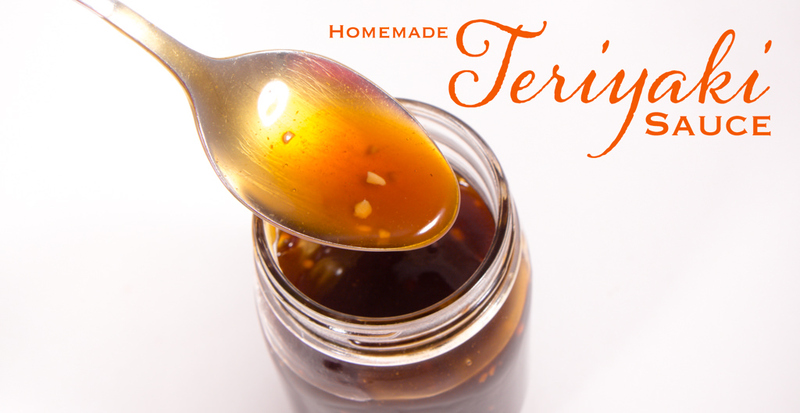 Homemade Teriyaki Sauce made in 10 Minutes on the Stove Top and even quicker in the Instant Pot. You will NEVER buy Teriyaki Sauce again! My family loves the sweet and tangy taste of Teriyaki Sauce. This 10 minute Teriyaki Sauce Recipe is ideal and so much better than anything you would buy in the stores. 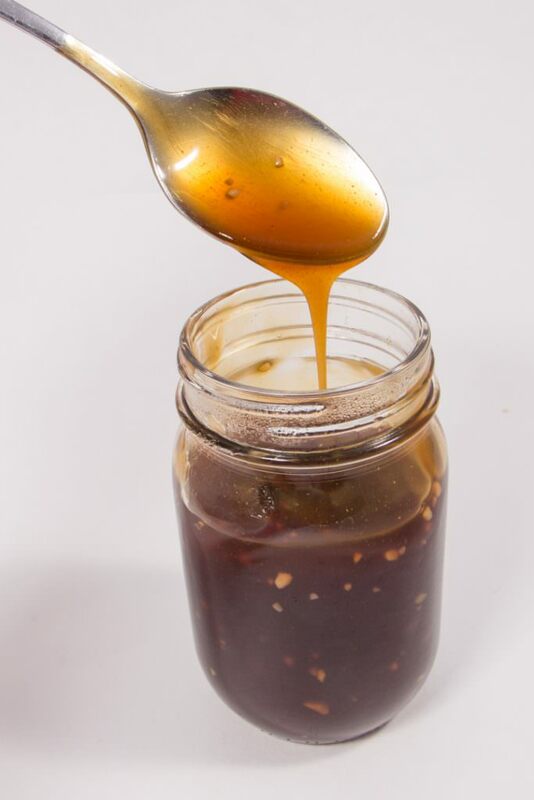 I do enjoy a good bottled sauce, but as easily as this recipe whips up, I really prefer making 10 Minute Teriyaki Sauce from home and knowing exactly what is going into it. Which Teriyaki Sauce is the BEST? Well of course we think ours is! But truly it depends on what you like. 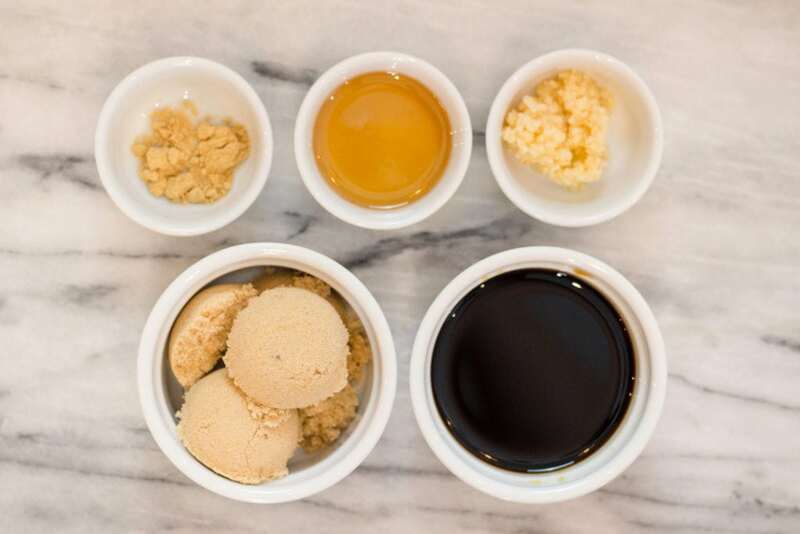 Do you like a sweeter sauce, or thinner sauce? Go with what you like. After all YOU are eating it! In a sauce pan combine water, soy sauce, brown sugar, honey, ginger and garlic. In a separate bowl mix 1/4 cup water with corn starch and add to your sauce pan. Over medium/high head stir constantly. As it gets warmer you will notice as you scrape the bottom of the pan the sauce getting thicker. Keep stirring! Soon the dark liquid will turn more opaque and thicken. Bring to a slow rolling boil and allow to boil for 2 minutes. Then remove from heat. Sauce will thicken as it cools. Store excess sauce in the refrigerator for later use. This couldn’t be easier to make Teriyaki Sauce, and let me tell you.. It won’t take 10 minutes, I promise. Dump COLD water, soy cause, brown sugar, honey, ginger and garlic in your Instant Pot and stir. In a separate bowl mix 1/4 cup COLD water with 3 Tbs cornstarch and add it to the Instant Pot at stir. Close the lid and set to Manual (Pressure Cook) High for 0 (Zero) minutes. yes you read that right. Use the -/+ button and adjust down to 0. 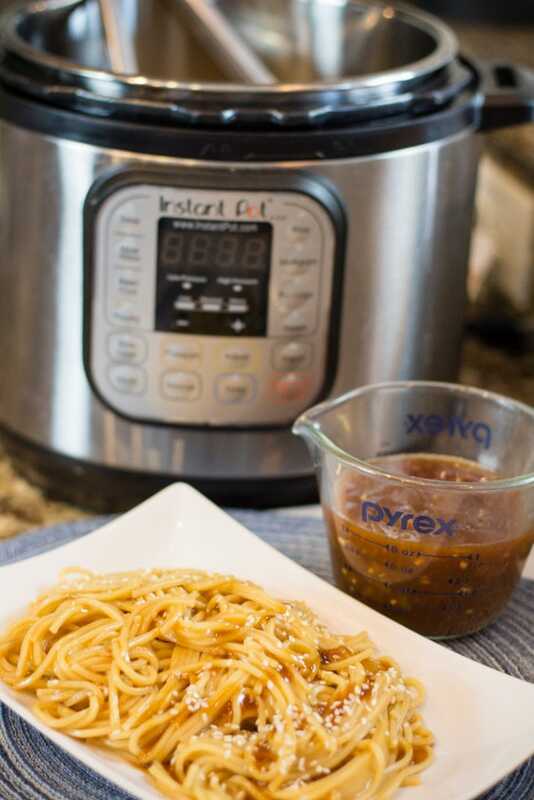 The Instant Pot will pressure up cooking the sauce and then stop. Release the pressure and open the lid and stir. Don’t forget to unplug or turn your Instant Pot off. You don’t need any more heat on the sauce. It’s the perfect thickness and ready to eat. 10 Minute Teriyaki Sauce is perfect on a rice bowl with veggies, chicken, or steak. Add a little of the sauce when you are cooking each of these ingredients to add extra tangy sweet flavor to your dish. 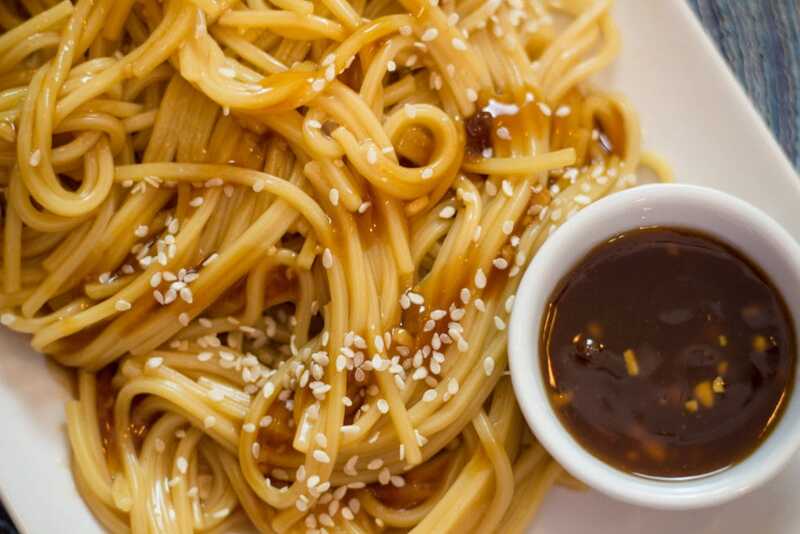 Teriyaki Sauce is also perfect on noodles! Who knew! Japanese noodles are the best. Make some of your own with this recipe. You will be forever changed, I promise. What is Japanese Teriyaki Sauce? Fun Fact! Teriyaki is a cooking technique in Japanese cuisine where foods are grilled with a glaze of sweetened soy sauce. How much Teriyaki Sauce for Stir Fry? This question depends on how much Stir Fry you are making. I alway start with 1/4 cup of sauce and add more to taste. You don’t want to over do it. Less is more and work up to the flavor you like. Like what you see? PIN for later! We know you like this recipe, so how about other great recipes? 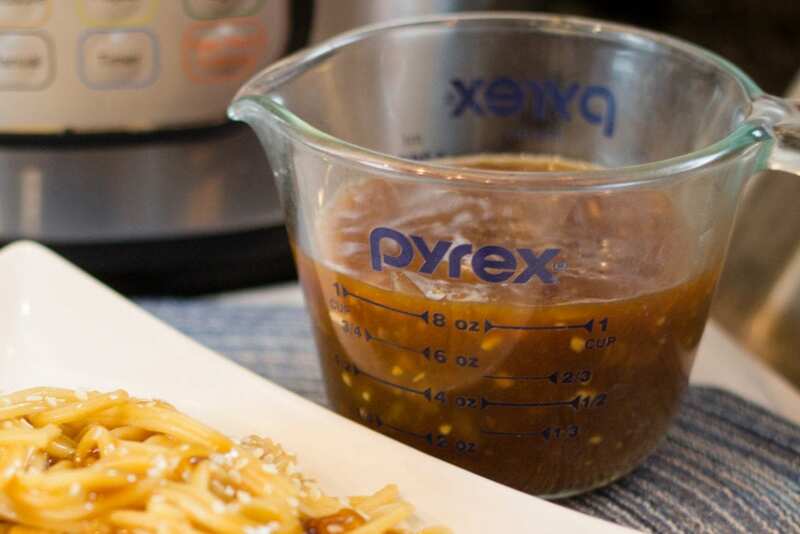 10 Minute Teriyaki Sauce is a quick and easy recipe for Instant Pot or Stove Top. Made in 10 minutes on the Stove and so much FASTER in the Instant Pot. 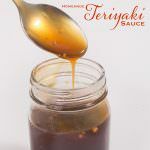 Perfect to add to veggies, chicken, beef, fish, or anywhere you want a little hint of Sweet and Tangy Teriyaki Sauce. In a sauce pan combine over medium/high heat: 1 cup water, soy sauce, brown sugar, honey, garlic, and ginger. Stir to combine. Continue to stir over medium/high heat. Bring to a slow rolling boil and boil for 2 minutes. Remove from heat. Sauce will thicken as it cools. Store in refrigerator. 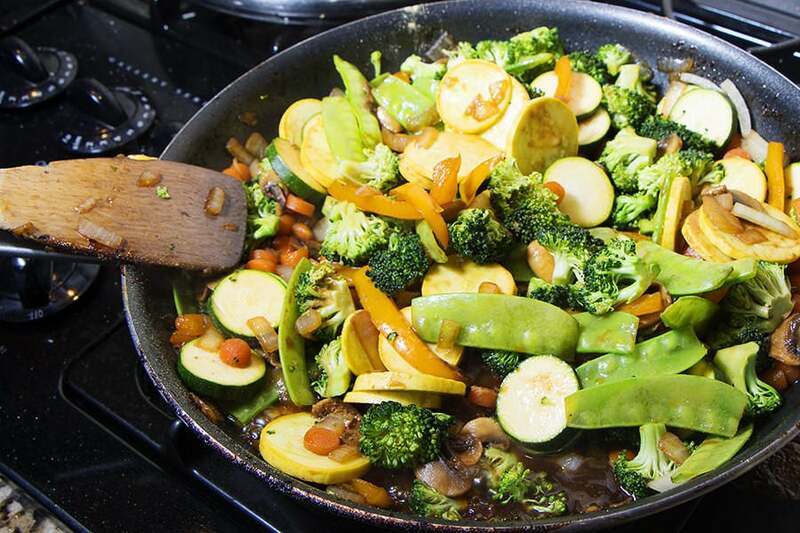 Serve over rice, with vegetables, chicken, steak, or any other dish you want a sweet tangy teriyaki sauce on. Enjoy! In the Instant Pot add 1 Cup COLD water, Brown Sugar, Garlic, Ginger, and Soy Sauce and Stir. Set Instant Pot to Manual (Pressure Cook) High Pressure for 0 (Zero) Minutes. Sauce is ready to be served over Rice, Noodles, Veggies, Steak, Chicken or Fish. Enjoy! *TIP~ It’s Important and Necessary to use COLD water when making this recipe in the Instant Pot. Instant Pot should be room temperature as well. The Cornstarch will thicken immediately when opening releasing the pressure and opening the lid. Using warm or hot water will cause burn notice. Did you make this recipe?Mention @devourdinner or tag us #devourdinner! Went from reading this to shrimp teriyaki noodles in about 30 minutes. Loved the sauce. I never thought to make my own but will do so from now on. Thanks! I love this! Yes, we love this sauce and it’s so easy to make too. I bet it really make your shrimp teriyaki noodles amazing. I love teriyaki sauce! I never thought about making my own. Great recipe! Thanks Nicolette! You will love this recipe. It’s amazing! I never thought it would be so easy to make my own teriyaki sauce – definitely giving this a try! It’s crazy how easy this recipe truly is. Makes me wonder why I would ever by a bottle! I knew I would be pinning this recipe when I clicked on it! 😉 I have needed a teriyaki sauce recipe for quite some time, but I haven’t bothered to look for one. All of your ingredients are staples, and I’m sure the sauce is delicious! Hi Kristin! I love to use staples in all my recipes. It makes a recipe so much easier with those common ingredients you have. This sauce is delicious! Hope you enjoy it. I love making sauces from scratch. This recipe sounds delicious. Wow! I love an easy recipe and this one is easy enough that I’ll dare myself to make it. Thanks for sharing! I love easy recipes too. This one makes me wonder why I would ever buy a bottled sauce, it’s just so quick and easy and sooo delicious!